One week after House Democrats finished 0-for-4 in this special election season, their burst of frustration and pique vented toward Minority Leader Nancy Pelosi appears to have fizzled. 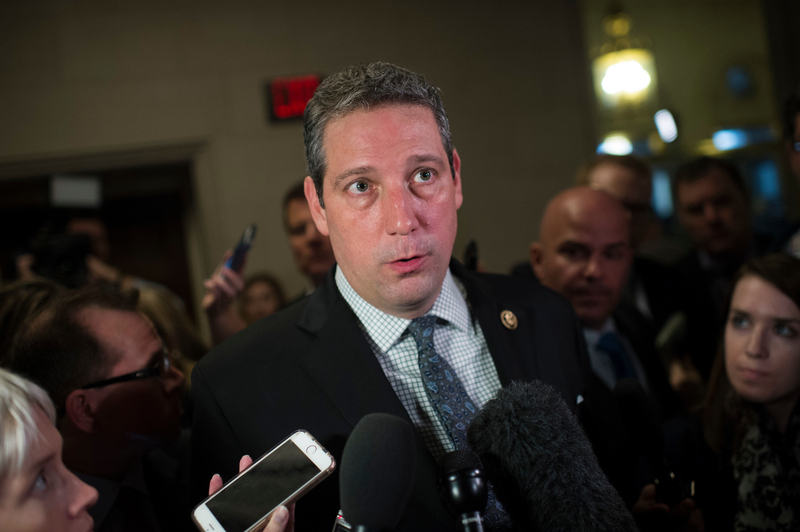 The vexation is not going to fade away altogether, however, and neither will the lawmakers’ whispered talk in the cloakrooms or after their nightly fundraisers about which of them has a plausible shot at someday becoming Pelosi’s successor. How quickly the chatter turns into any concrete campaigning is open to conjecture. Probably, it is not at all imminent. After about a dozen dissidents met last week to vent their displeasure at their current floor boss — identifying her polarizing liberalism as central to their dispiriting special election losses in Georgia and elsewhere — they emerged with no action items on their agenda, only agreement to keep voicing a view that the party’s leadership is all wrong for winning back the House majority. None of the people in the room were willing to offer themselves as an alternative, at least not yet, underscoring how one of the oldest adages in electoral politics is “You can’t beat somebody with nobody.” And so far, there’s not even a single rival Pelosi has to contend with — let alone one she has to fear. And all of the lawmakers were described in the context of identifying the next generation of leaders who would step up if Pelosi steps aside — with none of them labeled as someone currently capable of toppling her from the perch she’s held for 14 years and five months. Instead, she told reporters, her reputation as both “a master legislator” and a fundraising juggernaut make her “very confident” she’ll have continuing support from a vast majority of the 194 members of the Democratic Caucus — even as another election cycle begins in which she’ll be the target of derision in hundreds of millions of dollars in attack ads against other Democratic candidates. “I think I&apos;m worth the trouble, quite frankly,” she said. Given her proven ability to count votes, the safe bet is she’s not bluffing at the moment. It’s also not readily apparent what other political or legislative events on the horizon could prompt a new and deeper groundswell among her colleagues to move her out — especially in advance of the next leadership election, which will be held a few weeks after the 2018 midterms. Not only is she the first female speaker of the House, but she now stands as the second-longest party floor leader in House history after Sam Rayburn of Texas, who had been the top Democrat for 21 years and 2 months (with three different stints as speaker interspersed by periods as minority leader) when he died of cancer in 1961 at age 79. On the global stage, Pelosi has led a major political party longer than any woman except one: Angela Merkel, who’s been the leader of the Christian Democratic Union of Germany since 2000. But while Merkel has been chancellor for almost a dozen years, Pelosi was speaker of the House for just four years. The Democrats held 205 House seats when she became floor leader in 2003, and the roster peaked at 257 halfway through her speakership. It’s shrunk by 63 members since then. Pelosi’s long hold on power means she’s outlasted an entire generation of colleagues who spent years positioning themselves to be her successor and have now moved on. Most prominent among them were Rahm Emanuel, who left to become White House chief of staff and then mayor of Chicago; Chris Van Hollen, who claimed an open Maryland Senate seat; Xavier Becerra, who took an appointment as California attorney general; and Debbie Wasserman Schultz, reduced to Florida backbencher since the hacked Russian emails forced her out as head of the Democratic National Committee. The lawmaker who posed the biggest potential threat for decades was Steny H. Hoyer of Maryland — a rival during a summer Hill internship they shared in the 1960s, and four decades later, the vanquished opponent in the whip’s race that launched her leadership career. But since 2003, when he became her No. 2 in the House hierarchy, it’s become increasingly clear Hoyer was only preparing to move up to No. 1 as her successor, not as an insurrectionist. And now, having turned 78 this month, even his biggest House Democratic fans say his time has passed, and that an orderly succession will surely bring an emphatic statement about turning to new blood from a younger generation. 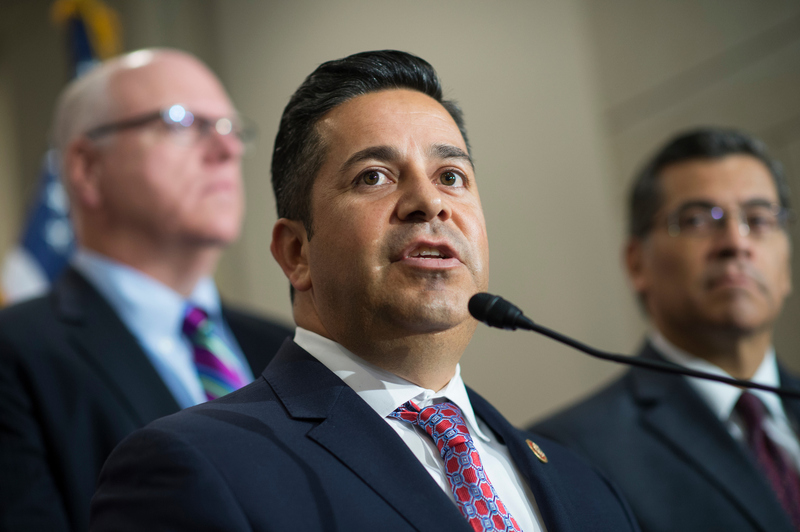 Two are women, two are Hispanic, one is African-American and two are Anglo men — a diversity reflecting the fact that, since 2015, those who exercised hegemonic control over the Capitol for two centuries have slipped into plurality, but no longer majority, status among House Democrats. And five of them (but not Luján) have been players on the congressional squads that play annual baseball or softball games for charity — indications they’re willing to be literal “team players” with their colleagues, or at least want to be perceived that way. Depending on when the contest for the next Democratic leader comes open, these six could all be in the mix — or all might be supplanted by a candidate not yet in the party consciousness. That’s because leadership contests at the Capitol are more like papal conclaves, with all the complex allegiances and multifaceted rationalizations that entails, than orderly promotions from the farm team to the starting rotation. “Who knows, maybe her successor hasn’t been born yet,” quipped a Pelosi ally, Rep. Jim McGovern of Massachusetts. Last fall, she had the largest victory margin (20 points) of any of the dozen Democrats re-elected in districts that also went for Donald Trump — measurable evidence she’s succeeding at something the party needs to do nationwide: Deliver a message that wins over the president’s rural, blue-collar base of support. To that end, she was one of three members put in charge of the Democratic Policy and Communications Committee — assigned to develop messaging “that resonates with hardworking Americans,” then help members deliver it to potential swing voters. (The others are Jeffries and David Cicilline of Rhode Island, meaning she’s the only Midwesterner in the leadership.) 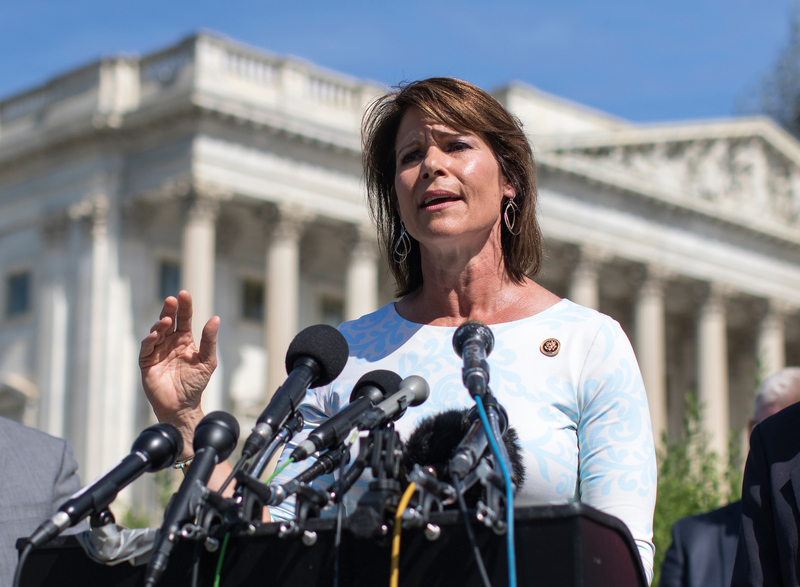 Her profiles on the Transportation and Agriculture committees and on national TV have grown dramatically, and she works to promote the party’s economic empowerment themes while sidestepping cultural hot-button topics and avoiding partisan confrontation over Trump’s troubles. The daughter of a longtime Illinois political operative, Bustos counts Senate Minority Whip Richard J. Durbin as her political patron (as a teenager, she babysat his kids). She was a reporter and hospital official before defeating one-term GOP Rep. Bobby Schilling in 2012. His outsized personality and 6-foot-4-inch frame sometimes make Crowley appear as if from another era — when the prototypical Irish Catholic pol was, like him, the son of a cop with a gift for gab and a fondness for singing in public. But Crowley is clearly attuned to the ways of modern politics, and years of prodigious fundraising, attending to the needs of colleagues with a blunt gregariousness, and savvy salesmanship on the Ways and Means panel of the Democrats-as-the-party-of-the-working-class message propelled him this year into the top tier of the leadership. After four years as vice chairman, he was unchallenged to ascend to the Democratic Caucus chairmanship, No. 4 in the hierarchy, joining the troika of Pelosi, Hoyer and James E. Clyburn that’s been unchanged at the top for 11 years. Elected to the state Legislature at 24, Crowley cruised into Congress a dozen years later, in 1998, as the handpicked successor of his political mentor Thomas J. Manton. The same attributes that prompted efforts to persuade him to challenge Mayor Bill de Blasio’s bid for re-election in New York next year, which he’s now firmly rebuffed, would be his calling cards for promotion to House leadership: An ability to communicate with and then win over an ethnically and economically diverse constituency, rhetorical skills that have drawn frequent comparisons to Barack Obama, and a level of comfort selling his progressive views on TV. He’s one of three members in charge this year of a messaging effort dubbed the Democratic Policy and Communications Committee. But he’s not averse to a bipartisan approach. 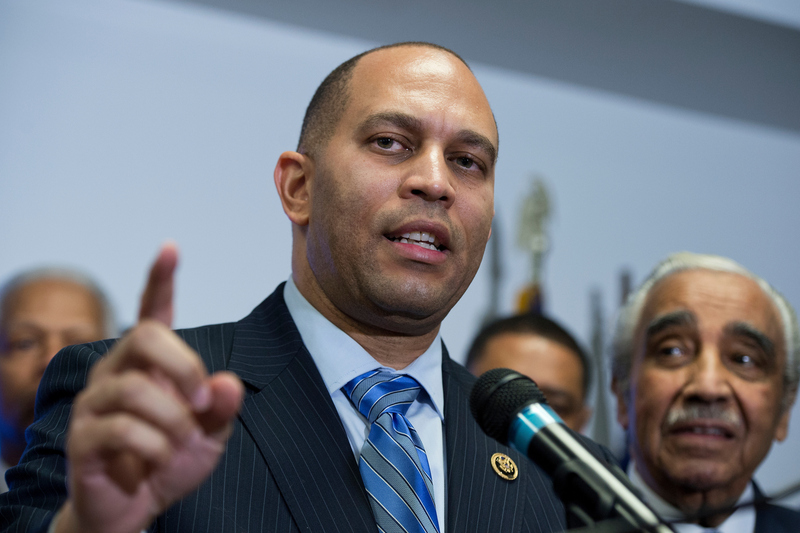 He’s worked with Republicans to advance charter schools, and he and GOP Rep. Trey Gowdy are pushing legislation in the Judiciary Committee that would make it easier for first-time nonviolent drug offenders to get convictions expunged. After a stint as a corporate lawyer and six years in the state Assembly, he won in 2012 after pressuring a 30-year incumbent, Edolphus Towns, into retirement. Beyond a seat on the Energy and Commerce Committee, Luján has two positions of power that put him in constant contact with the rank and file, where he’s known not only for his ambition and fundraising proficiency but also for being a patient listener and a disciplined spreader of the party’s message. He’s in his fifth year counting and corralling votes as one of the chief deputy minority whips. 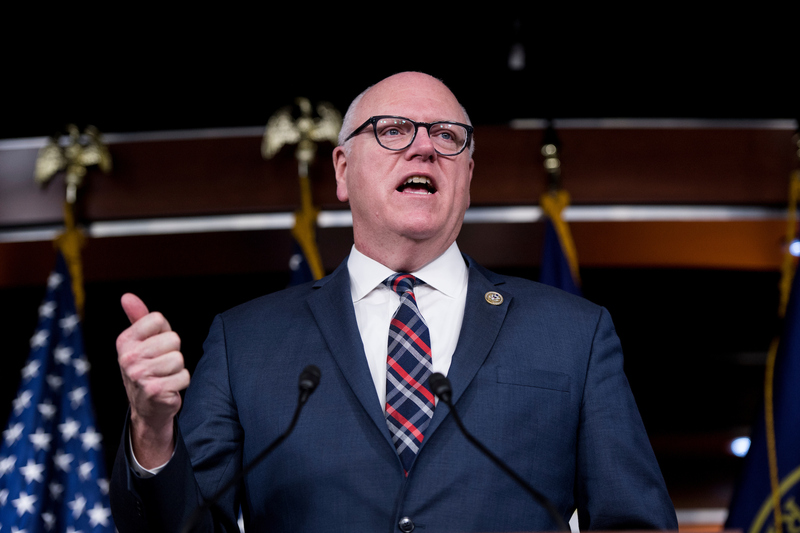 And he’s starting his second election cycle as chairman of the Democratic Congressional Campaign Committee, despite its failure to meet heightened expectations by picking up more than six seats and making more headway in moderate suburban districts that broke sharply for Hillary Clinton. 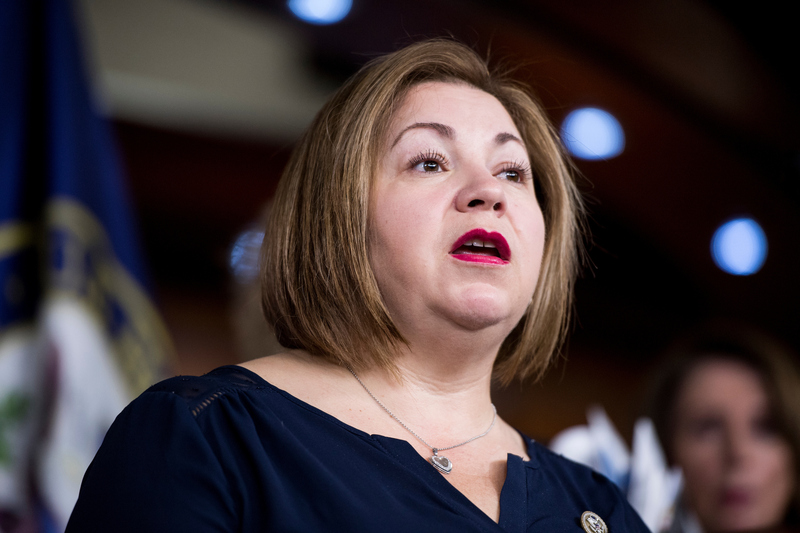 Luján would have an obvious springboard if the DCCC meets expectations next year, and especially if the party takes back the House. He was on the state board that regulates utilities when he won an open seat in 2008 with the help of his late father, Ben, then speaker of the state House. As the only current member (other than the incumbent) who’s already run for Democratic leader, Ryan would have both ready advantages but clear liabilities. After two years as a state senator, Ryan got to Congress in 2002 by defeating incumbent Tom Sawyer in the Democratic primary and then prevailing in the fall even though his boss from when he’d been a House aide, James A. Traficant Jr., was running while starting a federal prison term for corruption. After two years heading the Congressional Hispanic Caucus, last fall Sánchez edged her California colleague Barbara Lee, 98-96, to become vice chairwoman of the Democratic Caucus and the first woman of color elected to a Hill leadership position. She brings to the job an unusual combination of politically progressive passion, personal irrepressibility and professional seriousness. She professes a zeal to protect immigrants, laborers, women and children on the Ways and Means Committee. She’s one of the House’s sharpest and most ribald wits and has been refreshingly open about her personal life, announcing her pregnancy in 2008, several months before her engagement. And last year, she finished an unusually long stint of six years as ranking member on the Ethics Committee, earning bipartisan plaudits for her regulating and judging of colleagues’ behavior. A civil rights and labor lawyer and onetime union official, she was a field organizer in 1996 for the first House campaign of her older sister, Loretta (who left last year), and in 2002, triumphed in an open district freshly configured to favor a Hispanic Democrat.